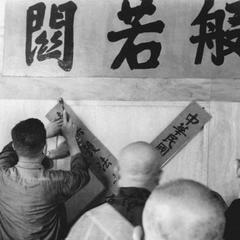 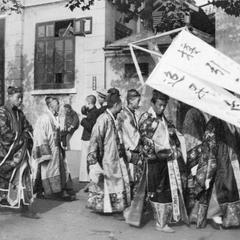 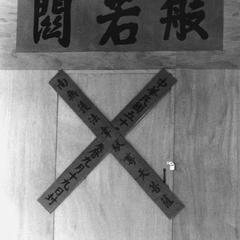 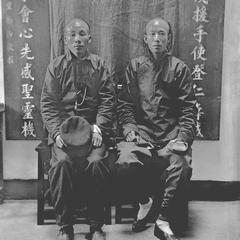 The practice of sealed confinement. 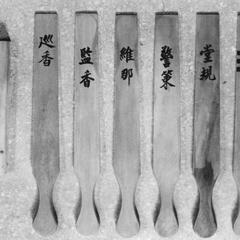 Different types of incense boards used for patrol in the meditation hall. 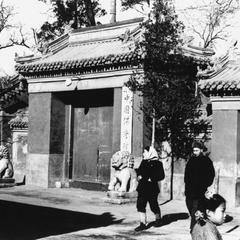 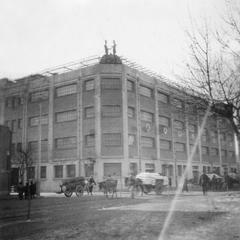 Large foreign-style building and carts on the street. 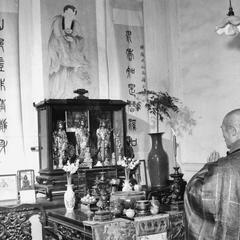 The abbot of Pilu Si (Pilu Monastery) 毘盧寺 kneels before his private altar.